We now have an original pattern made by Isobel Meekins for our Dean Daughter panel. 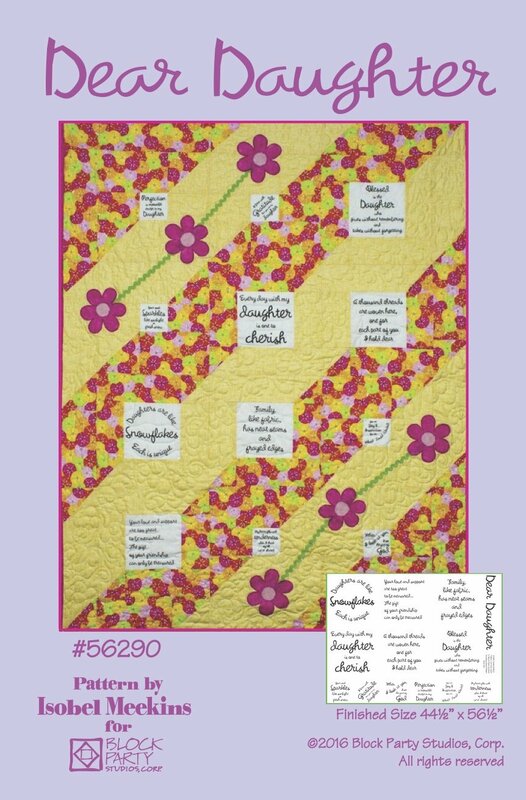 Let your daughter know how much you treasure her with this quilt made with our Dear Daughter panel. Finished size is 44 1/2" x 56 1/2". This item includes Dear Daughter pattern AND panel.